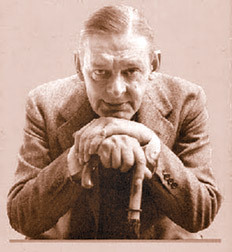 TS Eliot remains the most influential poet of the modern age. His most famous work is “The Waste Land” but his greatest is “The Four Quartets” which, in fact, led to his winning the Nobel Prize for literature in 1948. The recent article on him could not do justice to this poem and this one seeks, therefore, to make good the deficiency. It can also be discovered in the experience of history, in those insights which provide a logic beyond that of official or academic history: “The backward look behind the assurance Of recorded history, the backward half-look Over the shoulder, towards the primitive terror.”. This last is where the technical achievement of the poem comes in. Eliot, having already brought about the revolution in poetic language that culminated in Wasteland, goes on in 4Q to achieve a further elaboration of poetic idiom and metric. This makes him the only poet to have effected two developments of technique in his lifetime other than Shakespeare, who “having adapted his form to colloquial speech...began ….to see how elaborate, how complicated, the music could be made without losing touch with colloquial speech altogether.” In Eliot’s emulation of Shakespeare, we find this second phase in operation in 4Q, where the musical elaboration of form and style is what brings out the thematic variety and complexity of the poem. Walter Pater declared that “All art aspires to the condition of music.” Eliot was particularly enamoured of Beethoven’s last compositions, the five so-called posthumous string quartets, and most particularly the second, Opus 132, of which he wrote to Stephen Spender: “I find it quite inexhaustible to study. There is a sort of heavenly, or at least more than human gaiety, about some of his later works which one imagines might come to oneself as the fruit of reconciliation and relief after immense suffering; I should like to get something of that into verse before I die.” How did Eliot endeavour this in 4Q? In his essay ‘The Music of Poetry’, from which we have already quoted, he goes on to say: “I believe that the properties in which music concerns the poet most nearly, are the sense of rhythm and the sense of structure.” Thus, each of the 4Q has five movements just as Beethoven’s 132 does. And as the composer’s last five quartets are in five different keys, the 4Q have four different titles, Burnt Norton, East Coker, The Dry Salvages and Little Gidding. These are place names that also represent the four seasons and the four elements of air, earth, water and fire. Yet, just as the string quartets all have a common underlying musical pattern, the 4Q explore, through their individual seasonal and elemental contexts, the same thematic material summarised above. But the musical approximation of 4Q does not stop there.In the same essay Eliot refers to the music of imagery in Shakespeare’s plays, and the way in which “the use of recurrent imagery and dominant imagery, throughout one play, has to do with the total effect.” Helen Gardner in her study of 4Q commented that “one is constantly reminded of music by the treatment of images.” Imagery is the chief musical device in 4Q, in examining a sample of which we can better understand its method of thematic development. Like a musical subject that is developed in sonata form, or a musical theme that is varied in variation form, the image of the rose garden is developed and varied till, like the unheard music it emulates, it fills the consciousness with its manifold evocativeness. Childhood innocence becomes associated with the paradisaic Garden of Eden once enjoyed but now forfeited by man, yet hoped to be regained at some future time. Our adult efforts to relive those remembered moments of bliss are invariably disappointed, but we should keep striving as the one way to keep alive the hope of eternity. After ‘East Coker’ and ‘The Dry Salvages’ overwhelm us with the sense of the ever changing present and of the relentlessly repeated cycles of Nature, ‘Little Gidding’ points to the refinement occasioned by our suffering these things as the means of our liberation from them.